I hope you got outside today because real autumn is coming tomorrow. Yikes going from 75 to 45 in 2 days. Anyway, the photo. This is a little Toad that I captured on the rock by my Garden Railroad the other day. 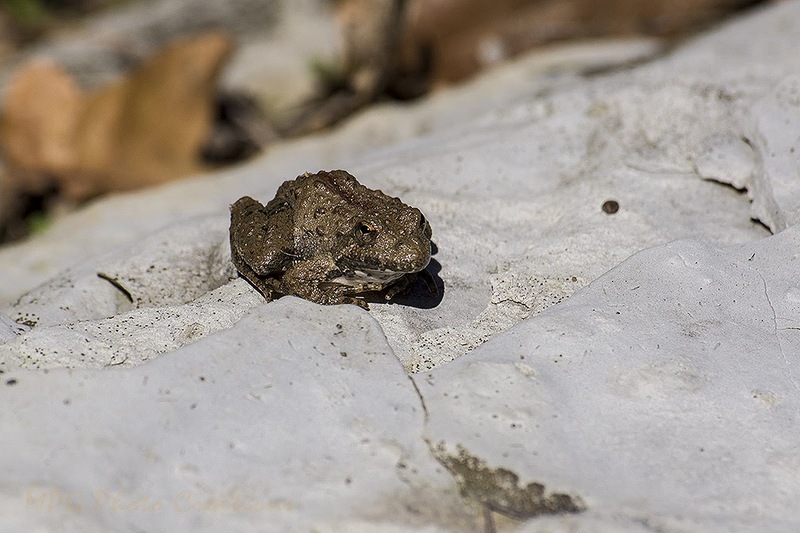 I believe it's a young American Toad. It was very small, only about 2 inches at most in length and had this shimmery copper color to it. It was nice enough to pose for me a bit and let me get fairly close.